In a small bowl, mix blue cheese and feta together and stuff into olives. To make marinade: Use a shaker or container with tight fitting lid, combine 3 packages of dressing mix, vinegar, oil and water, shake until well blended. 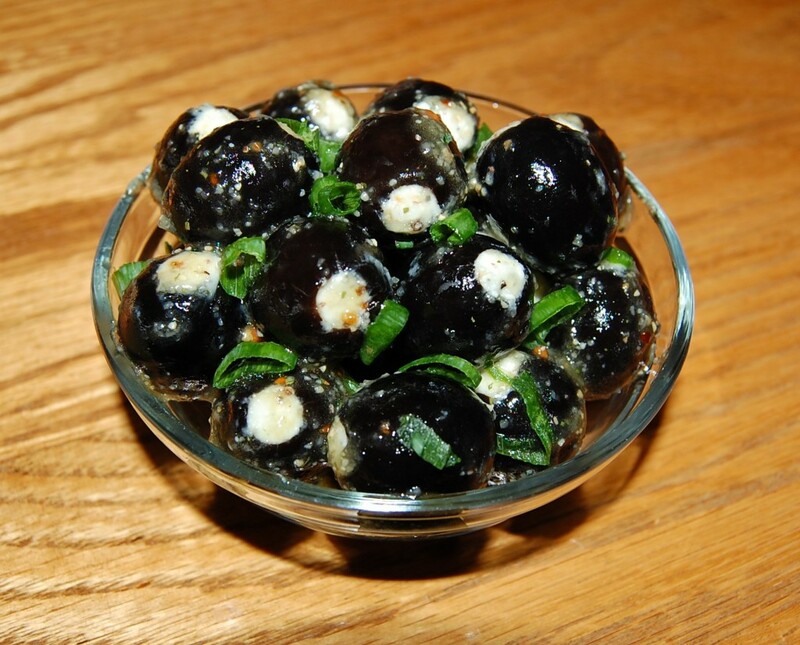 Put stuffed olives in a large Ziploc bag, pour marinade over olives and mix together. Marinate 1-30 days, keep refrigerated.